Another Parting is a short web drama with deep dialogues about love and sadness. 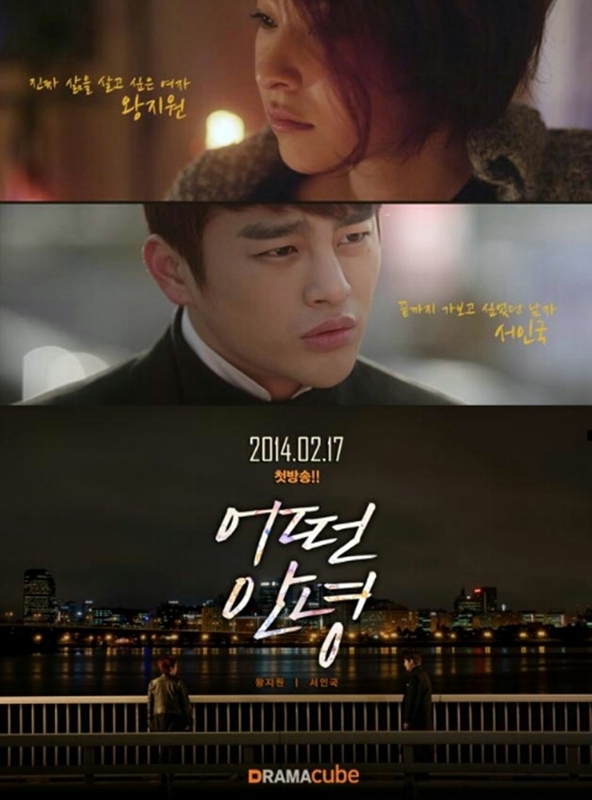 Hul (Seo In Guk) is sent on a one-day mission to find out why people cry. He tries to find in the city of Seoul but no answer until he meets Hana (Wang Ji Won) at the bridge. Hana cries and attempts to commit suicide but Hul stops her. He asks her why she is crying. She shares her story about being betrayed by her former boyfriend and best friend who are going out as a couple. In addition to that, her fame as an idol singer is taken away by them. After hearing her story, both Hana and Hul go to seek revenge by pulling a gun at that couple. However, Hul doesn’t pull the trigger and escapes together with Hana. While hiding away from being caught for attempted murder, he starts to fall in love with Hana and finding answers about why people cry. Both the storyline and cinematography have complete the whole five episodes of this web drama perfectly. Simple yet delightful and meaningful that ends with a big bang followed by, me, giving applauses for this drama. Hana questions about what is right for her until Hul comes to the rescue. Hul, is both a lover and a friend, who is there for Hana while he slowly finds the reason the tears flow her eyes. An ‘answer’ from Hana truly gives such a meaningful impact that made me slightly tear a bit. In the last two episodes, at first, I was a bit confused about the two sides of Hana. But, I slowly realized that the inner version of Hana/Hul is telling the Hana not to commit suicide as there are better ways to have happiness in life. The storyline may be a bit confusing but you will slowly realized the connection between Hana and Hul that links to two main things: love and happiness. The drama’s cinematography is spot on. The close ups and lighting on setting and characters had set the right mood and emotions which the viewers could enjoy. There were some of the key settings which I really enjoyed watching. The camera focuses on the city of Seoul at night is remarkable. The rewind back in time after Hana had the capsule is polished well with the combination of multiple scenes. My favourite scene is the inner self of Hana questioning Hana about making decisions for happiness and life. It was really touching and I cried a bit as Hana looks into her own self, mind, and soul. Another Parting is short but meaningful. Even though the storyline has a few faults, but it does give the whole picture as the two main characters share the love and happiness on that one special day. It was nice to see Seo In Guk and Wang Ji Won take on the serious role that lets them put both emotions and words into place that can touch the viewers’ hearts. Its cinematography amplifies the mood of storyline. Web dramas like this one should be shown to both local and international viewers because of its heartfelt storyline that they could relate to. The web drama is available online with English subtitles at the 1theK YouTube Channel.